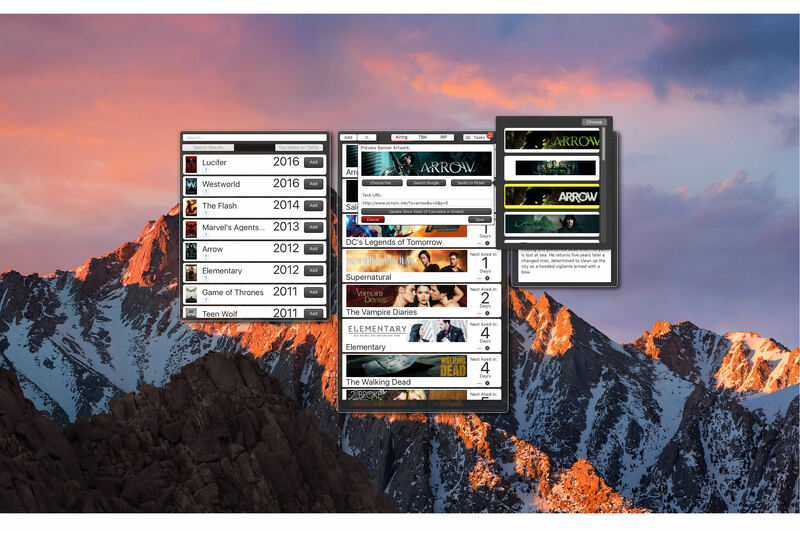 atC is a Clipboard Manager for MacOS. It’s main target is to be as simple and straight forward as needed. Simply copy something and paste it later somewhere else, but get various extra Features like pin a Clip to be remembered, get details about the Clip before you paste and even get a Context to know when, what and from where a Clip was added. 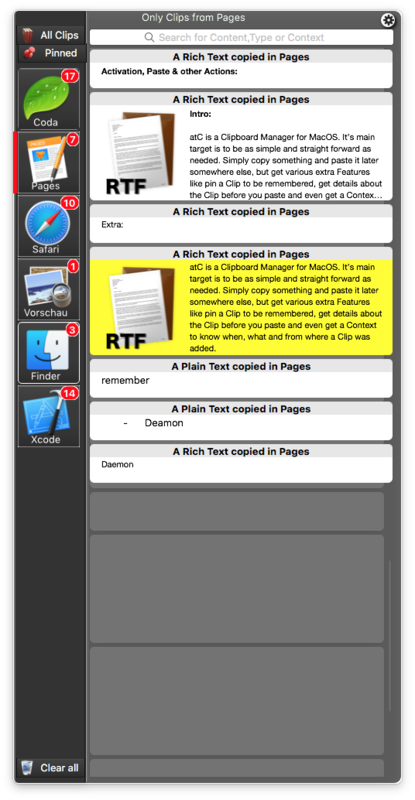 atC supports no kind of Favourite tags, Groups or similar, a Clipboard Manager is not a Notebook or Memory Book,. Its a temporary collection of valuable and reusable Informations and should be used as such. atC supports also a frequently used Section. Whenever you paste something from atC into anywhere, atC counts this and if you reused a Clip at least 3 times, atC suggests it's a frequently used Clip and allows you to reuse it the next time without more searching, simply by visiting the "Most used" Section.You can imagine this as a kind of favourites. Also noteworthy, for performance reasons, atC limits the maximum number of Clips it can store to up to 50 Clips, but the limit excludes pinned Clips, pinned Clips are Clips you want to keep and remember, so basically, you can have 20+ pinned and 50 normal Clips, that's how atC set its limits!!! 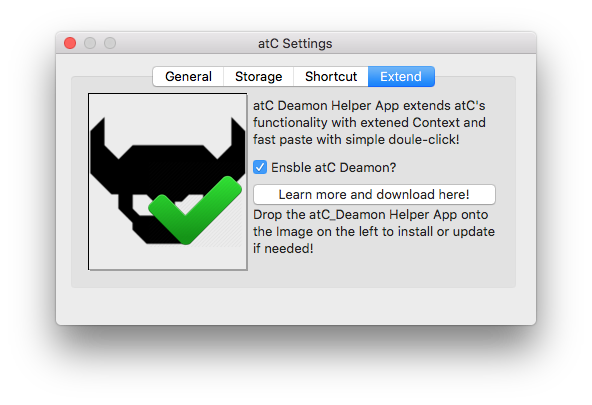 - Or the easiest way: With atC Damon you can simply double-click any Clip to paste it into the current active Application wherever the Cursor is right now. this will toggle through your default Sections like all, most used and pinned. 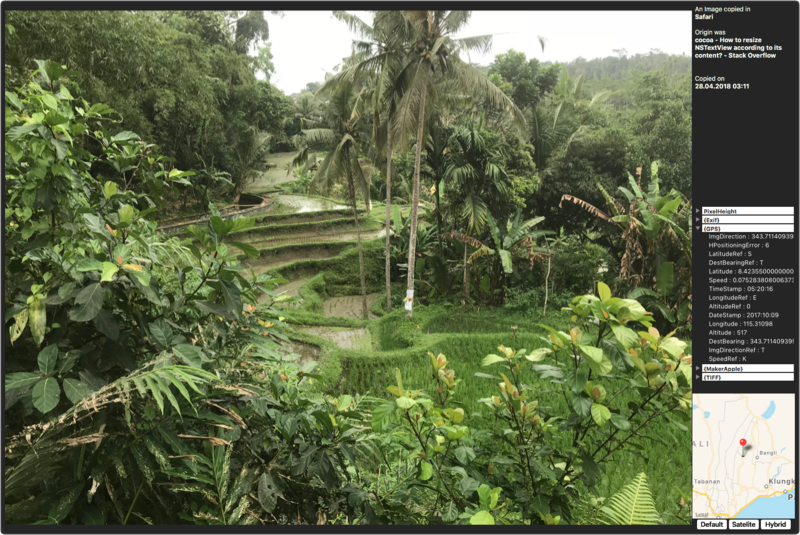 Each Clip can be either Pinned or shared with MacOS’s built in sharing Services. To do this swipe any Clip to the right to reveal this options or swipe it to the left to be able to delete a Clip from your list. 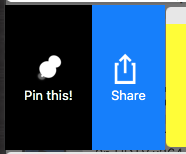 Pinning a Clip tells atC to keep this Clip and do not delete it, why it’s either important or you attempt to reuse it later, it will automatically appear in the Pinned Section and flagged with a Ribbon on the top right side of the Clip. Whenever you invoke atC’s Clips Window, the search gets activated , you can see this while the Search Field or red bordered while active. Whenever you copy something and atC adds a Clip to it’s Collection, it also attempts to ask MacOS for the origin Application you copied it from, afterwards, it creates the Owners list on the left side to visualise what you have in your list and from where, and also gives you the ability to quickly filter your Clips to display Clips only from a specific Application, the badge on any Owners Tile shows you how many Clips this Owner has. You can use the default Filters to show all Clips, frequently used or pinned Clips only.. But after the first Clips arrive in atC and the Owners list gets populated you can filter deeper and faster. Whenever you use a Clip to paste it anywhere either by clicking it or by dragging it out, atC will count this Actions and once you reused a Clip at least 3 times, atC suggest this might be important or handy Clip and collects this Clips in the “Most used” Section for faster reuse. 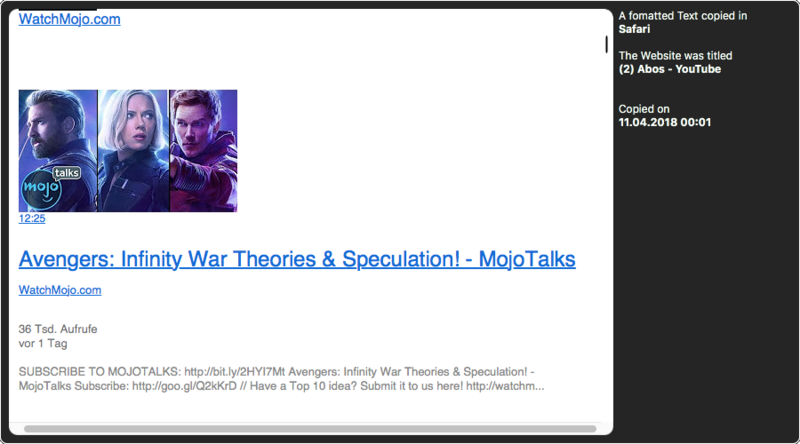 Show me Clips from this particular website or a specific Document (Do ne search for sentences like this, simply search for website titles, url, or document names. - when did this happen? Where did this happen? (Files or Folder) (atC Daemon required) in which Document/ Website did this Clip come from? atC can quicklook any stored Clip, doesn't matter if it is text, image or url Similar to previous Context explanations, the Quicklook gives you a similar Information about this particular Clip and also extends it for Clips like Images or Files. Previewing an Website URL loads the URL into a mobile Version of this Page if available and you can even navigate it or open other links like downloaded etc... 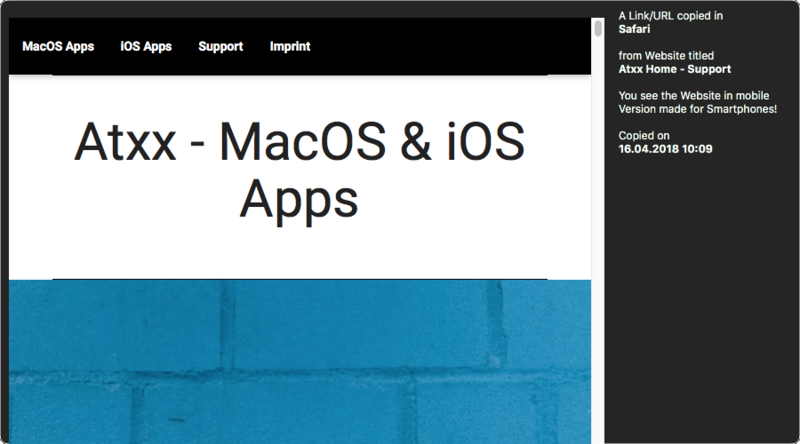 Text and Web-clips get previewed as they were copied, with all the Layout, Font Colours, Fonts and so forth, basically, what you copied is what you get! Extend atC Context Informations with Sources and Origins like from which Document comes this Clip come from or from which Website? 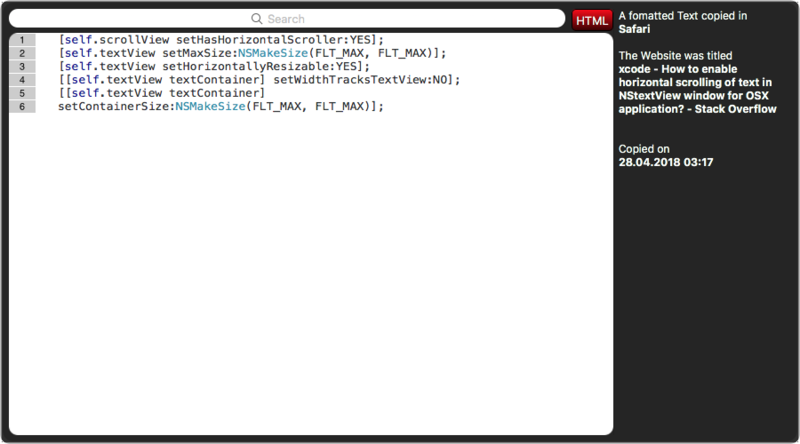 atC Daemon was build around this extension to easily paste with simple double-clicks e.g. but due twosome App Store Rules, atC need to exclude this into an optional Extension where any user can add this feature if they want to have it. To do this, simply download it from the Button at the top right corner, open atC Settings->Extend and drag & drop it onto the destination, click use it and you are ready to go!